First up, Kyubey in Ginza. It's difficult scoring a reservation at Kyubey, that's for sure. I popped by the first time at 1130am, which is when they open, and I was told to come back at 1230pm. I only needed one seat and I'm guessing that's why they were able to cater to me. I was ushered into a waiting room before I was taken to one of the many levels that Kyubey occupies. I had the good fortune of dining at the sushi counter where I get to watch the chefs in action. 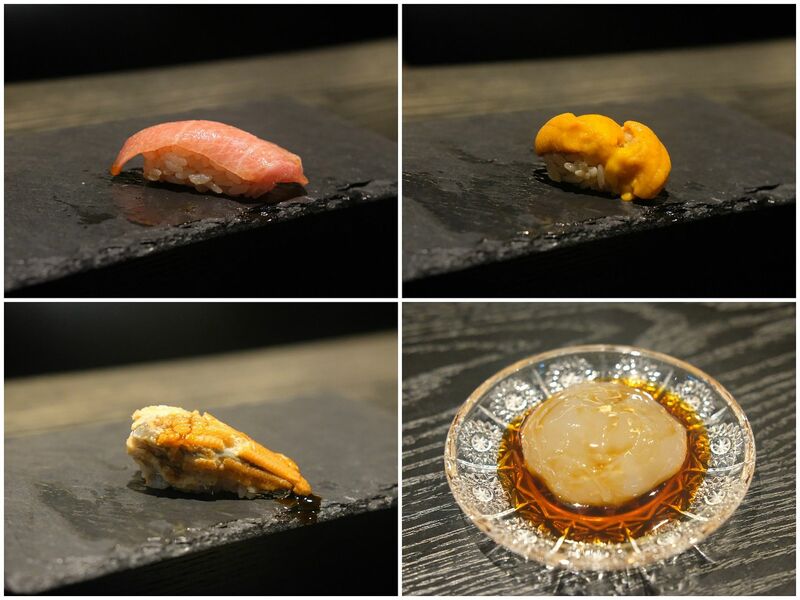 The chef recommended the Oribe set (5,500yen) which is a 10-course omakase. 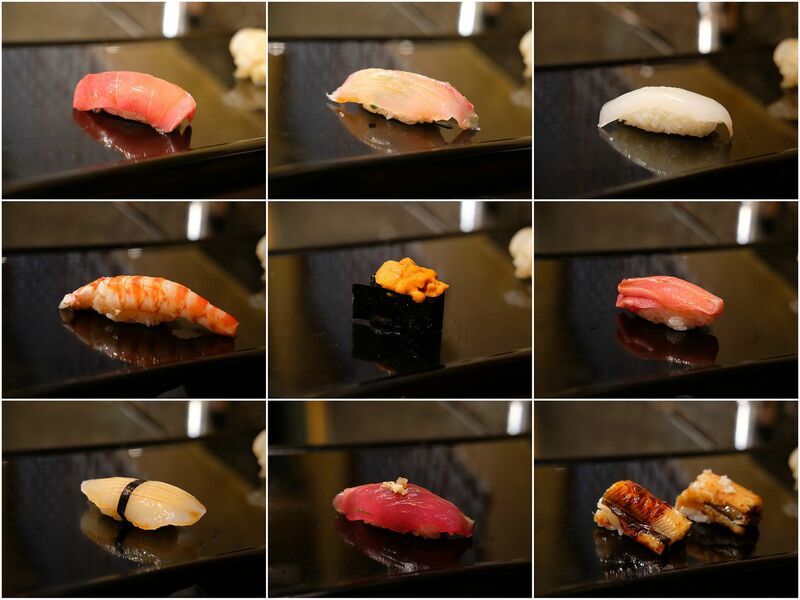 Every piece of sushi was exceptional and just flawless. The most amazing part was when the chef takes out the live prawns. He will ask you if you'll like your prawn cooked or raw. Go for the raw one! The preparation is a small spectacle that's quite entertaining. After my lunch at Kyubey, I was so so so happy. I couldn't stop raving or thinking about it. Hence, I returned a few days later for lunch and this time I popped in at 1030am, and was told that there was an available seat at 1130am. I felt like I was the most blessed person in the world at that very moment. Seated at the counter once again, this time on a different level, I opted for the Kyubey (13,000yen). 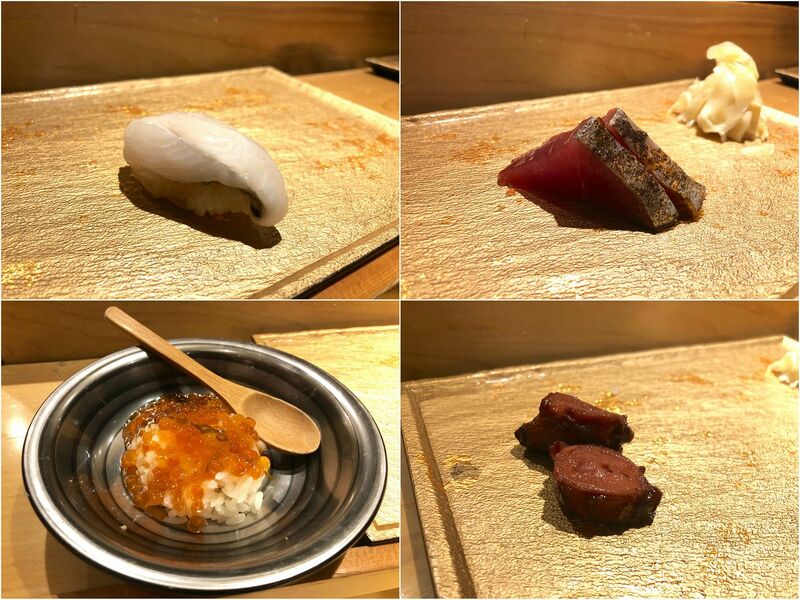 The 16-course omakase was just an extension of the Oribe, and honestly wasn't anything more impressive. 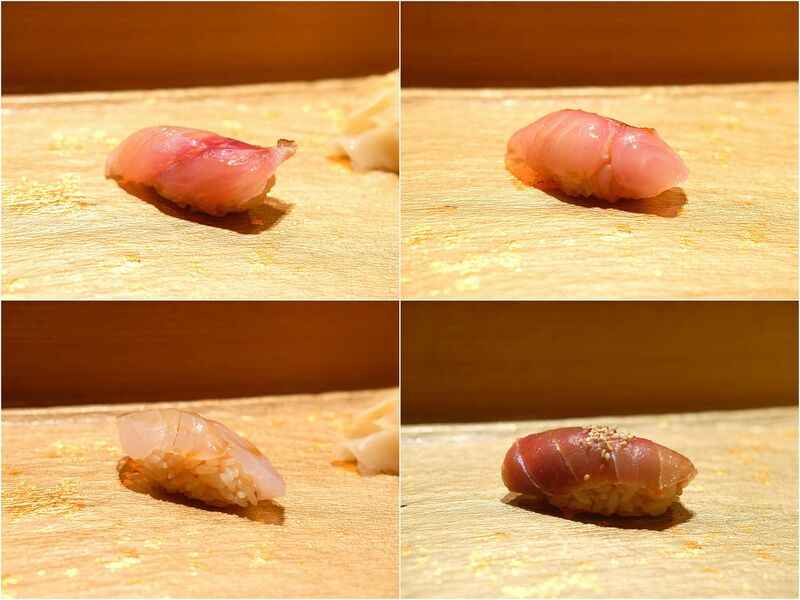 In fact, paying 7,500yen for 6 pieces of sushi that's not as outstanding as the original 10 pieces in the Oribe was quite upsetting. I still enjoyed my lunch but I did not enjoy it more than I did the first time. So, if you're popping by, I'll strongly suggest going for the Oribe. 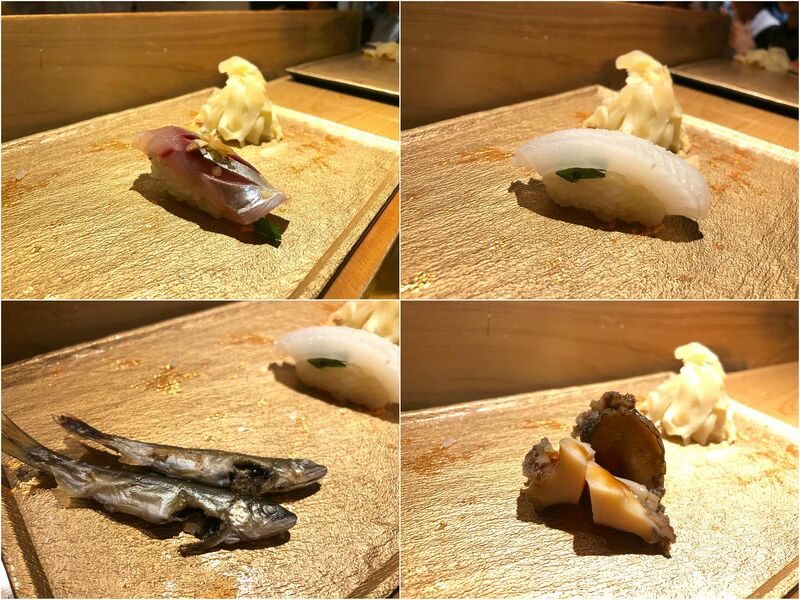 My friends tried the Omakase (12 courses) and also concluded that the Oribe was the most value for money and it comprises all the key pieces that we love. Service is obviously top notch, and I'm sure you'll enjoy your time here. Life hack, or pro tip : If you don't eat vegetables, like me, the chef will make you a negitoro roll at the end instead of a vegetable roll. In my opinion, this is a huge upgrade, and a very yummy one. 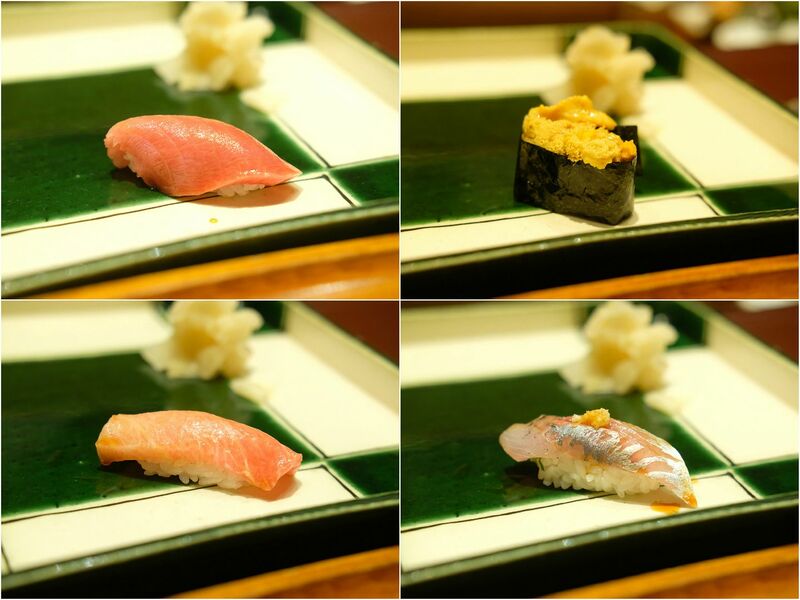 If you can make it for lunch at Manten Sushi, you definitely should. It's a crazy, crazy, steal. The lunch set is just 3000yen and apparently the same set with a few more courses got for 7000yen during dinner. I popped by during lunchtime and joined the queue. It was raining that day so the queue was alot shorter that it usually is. I queued for about 50 minutes before I got a seat at the counter. 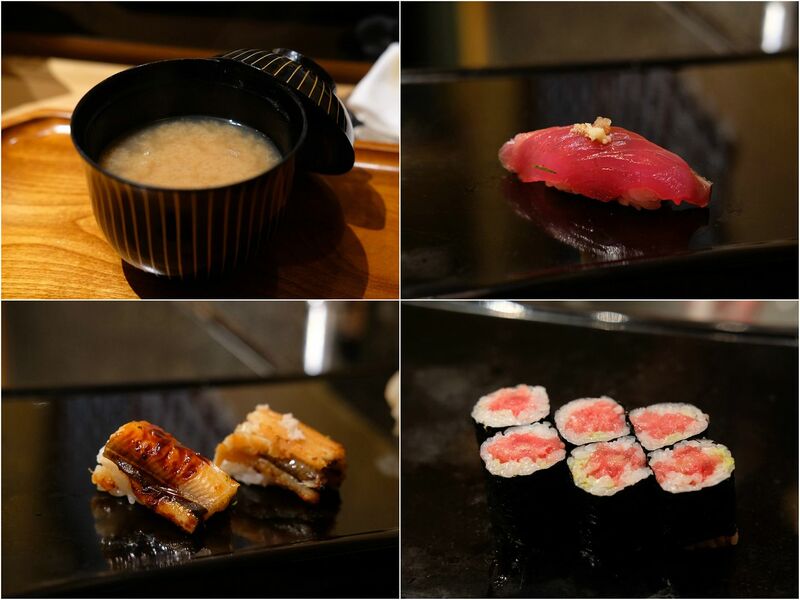 Fresh sushi, fantastic ingredients, and incredibly wallet friendly. What's not to love? If you're observant enough, you'll notice that Manten Sushi and Sushi Tokyo Ten use the same serving plate. This is because they are actually sister restaurants. Sushi Tokyo Ten is supposed to open till 1am, but when I dropped by around 10pm on a weekday, they were sold out. I returned at 715am on a Sunday and thankfully, they had an available seat for me but I had to vacate by 8pm. I had no issues with that. There isn't a menu and I was served the 7000yen omakase dinner right away. Needless to say, the 18-course dinner was delectable, and very enjoyable. 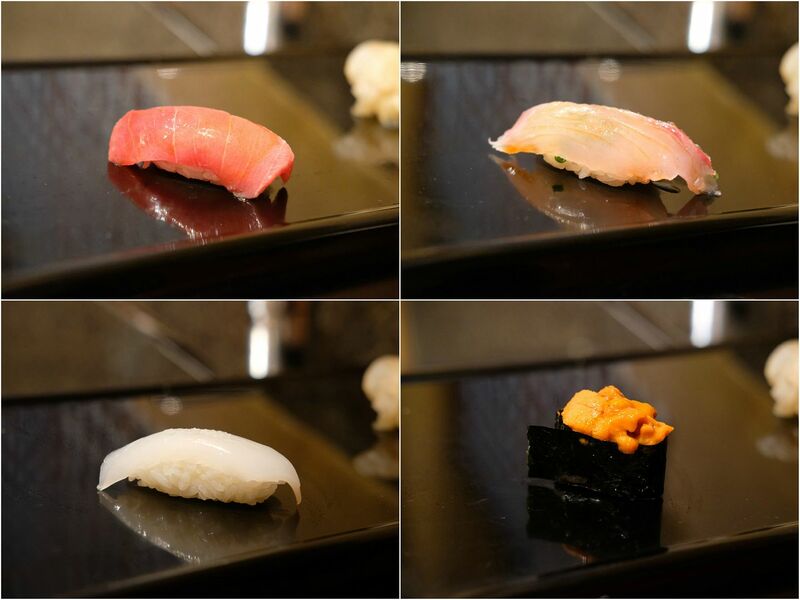 The popular restaurant sits in Shinjuku station, inside a food hall kinda space on ground level. The moment I sat down, I was asked if I wanted sushi. And I gave a resounding yes, probably way too excitedly. It was around 10pm at night and I honestly didn't think I was gonna get any sushi but I was so thankful that I found Matsueizushi which opens until 2am! When I was on my 8th course, Chef Eiji asked me how many more I could eat. I said about 4 and these are the 12 dishes that he tailored for me. Every bite was a party in my mouth. 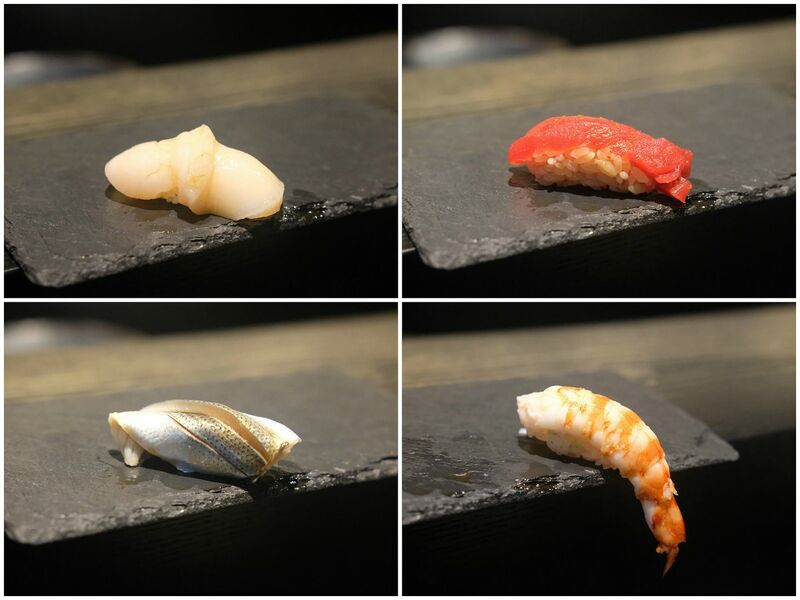 The slices of seafood that drape over the blobs of well-seasoned rice were fresh and disarmingly delicious. I honestly could have eaten more if this was my only dinner for the night but I already had a light dinner before. Even the "mochi" dessert that rounded off the meal was delish. My dinner cost 5,400 yen. Pretty value-for-money, in my opinion! My favourite of the lot has to be Kyubey! 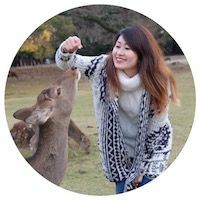 I've been to Tsukiji many times, and while I didn't dine at Sushi Dai or Sushi Daiwa, I went to Ryuu Sushi (apparently #3). It was actually quite disappointing. 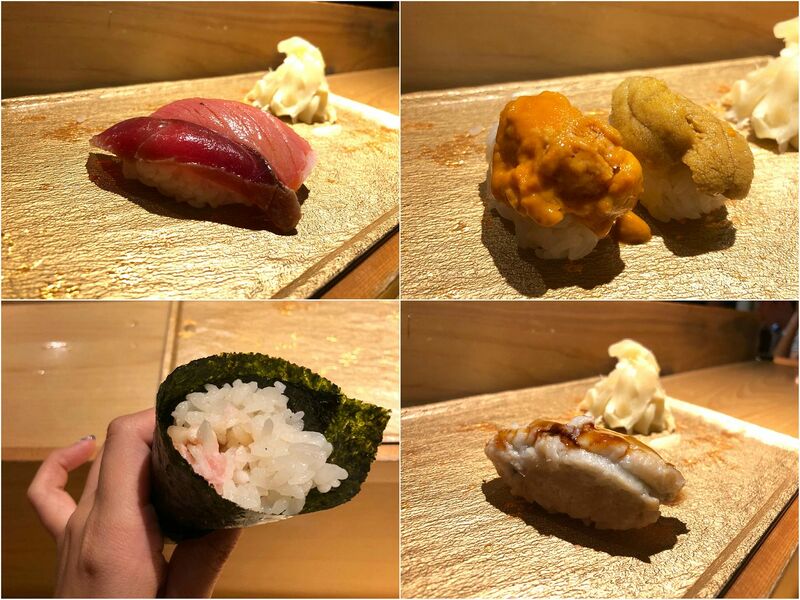 I also tried Sushi Bun, and Isozushi. 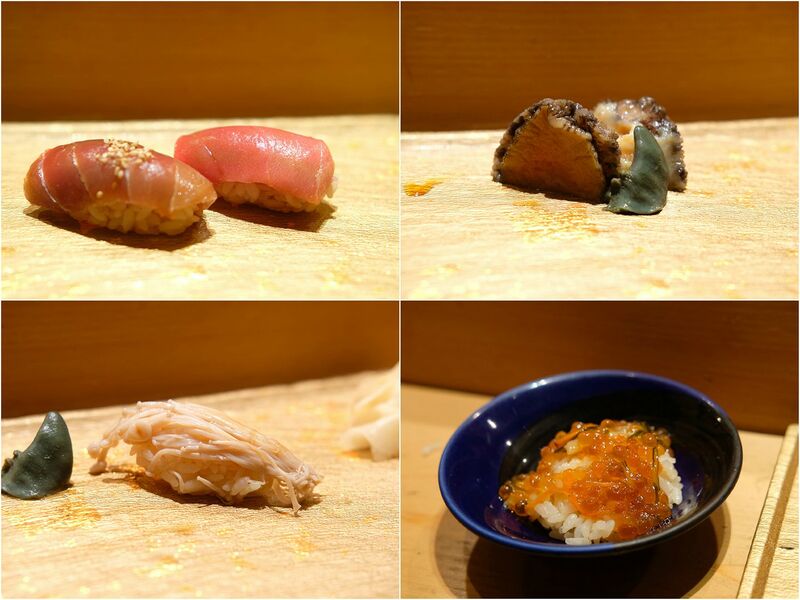 I would say skip the sushi at Tsukiji. Go there only if you want to get boxes of fresh uni and fresh cuts of otoro. I have a favourite stall which I go back to repeatedly for uni and otoro. Just digging into melt-in-my-mouth uni and otoro as I walk along the streets (I know I'm not supposed to do that) is pure joy. 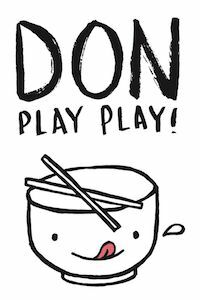 If you have any recommendations on awesome sushi restaurants that have not already won a Michelin star, please share them with me! 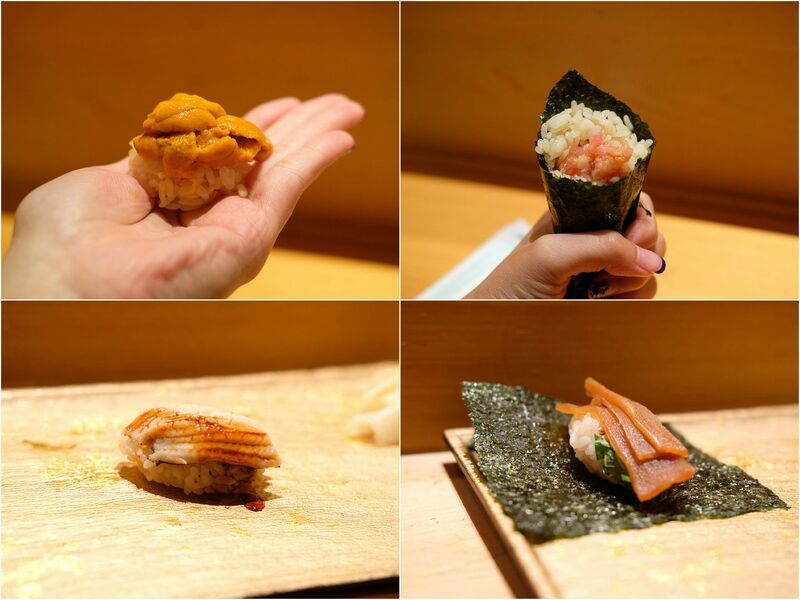 Looking to splurge a little on an omakase dinner? 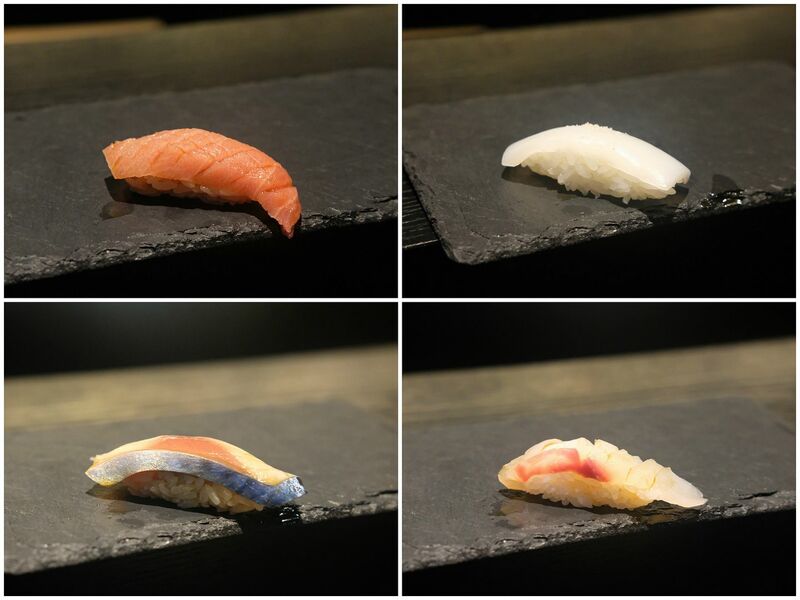 Check out Sushi Bar Yasuda!